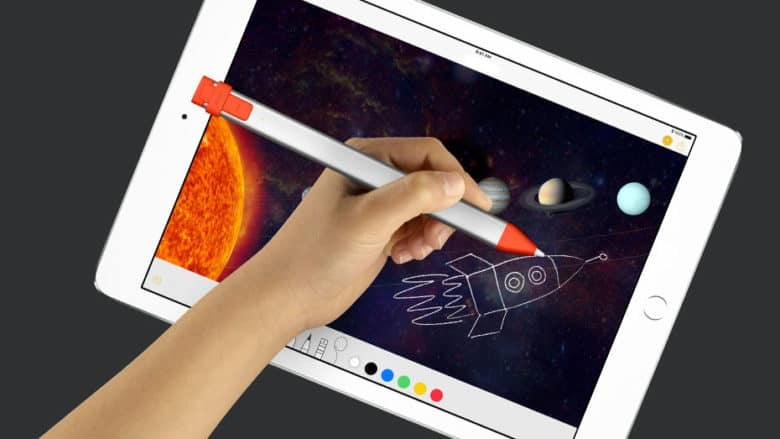 Until now, one of the drawbacks of the Crayon was it only supported one device: the sixth-generation iPad that also debuted last spring. But that’s about to change. The Crayon doesn’t offer all the features of the Apple Pencil. It includes tilt detection but not pressure sensitivity. Lines can be made thicker or thinner by angling the stylus, though. Read our Logitech Crayon Review to see how this plays out in the real world. On the other side of the coin, the Crayon resists tampering: Logitech designed it for kids, and it can’t easily be disassembled by bored students. That’s not true for the Pencil. The original Apple Pencil — the only version supported by the iPad Air 3 and iPad mini 5 — costs $99. The Logitech Crayon is $69.95, but that price changes to $49.99 when purchased through Apple’s Education channel.